cPanel Inc. a producer of cPanel hosting automation control panel and WHMCS, a provider of CRM solutions for the hosting industry have announced partnership, which according to both companies should end up with releasing “the most complete web hosting billing and control panel solution on the market”. cPanel is a hosting control panel for the Linux OS, allowing hosts, resellers, and end-users to work with their hosting accounts through a web-based browser. WHMCS (WebHost Manager Complete Solution) is a system that turbo-charges the provisioning of new accounts, client management, billing and support. These two hosting business automation product feature some form of integration and are used together by many small and middle-sized web hosts worldwide. Now both companies aim to lessen the management effort of their clients, do decrease their expenses and to improve the hoster’s ability to automate the service provisioning and to deliver fast and responsive customer service. The vice president of Cpanel Company Mr. Aaron Phillips while speaking to IT media during HostingCon 2012 said that, cPanel Inc. recognized that cPanel & WHM “had a need for an integrated component that would automate tasks like billing and account creation, but also recognized that such a tool would compete directly with WHMCS, if built in house”. 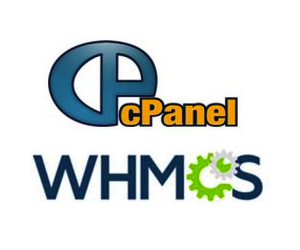 cPanel took into consideration the quality and the popularity of WHMCS and decided that buying the company that produces the hosting management and billing software was a better approach to create a new product. Mr. Philips further said that the deal was almost in final stages and soon the final plan will be shared and signed off. Mr. Matt Pugh the CEO of WHMCS said that he expects a much better integrated product after development on single platform that will benefit the web hosting users at a great scale.